When you're listening to Japanese, does it ever sound extremely fast to you? Perhaps around 21% faster? Well, you'll be happy to know that a few smart people (Pellegrino, Coupé, and Marsico) did a study on this and more, showing that Japanese speech really is faster. It's really quite interesting and it may even help you to gain some extra perspective on the Japanese language which will help you to get better at it overall. 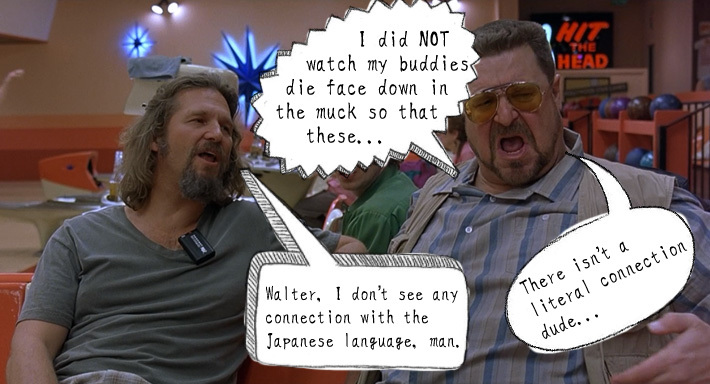 As Walter Sobchak is known to say: "THIS IS WHAT HAPPENS, LARRY! THIS IS WHAT HAPPENS WHEN YOU DON'T KNOW YOUR JAPANESE SYLLABIC RATES!" In this study (A Cross-Language Perspective on Speech Information Rate) the authors spend a lot of time comparing and going over eight different languages (one of course is Japanese). They took a look at translations of the same text in all of the languages and compared their syllabic rate (number of syllables per second), their information density (how much information is packed into said syllables), and then the rate at which information is communicated. The Vietnamese language was used as the "outside" reference language, which is why it's "1.00" in the table below. You can use that to compare the speeds and rates of everything else. I'll mostly be comparing English and Japanese, since those are the two languages being used on Tofugu, but you can do the same with any of the languages above, I'm sure. Information Density: The Japanese language has the lowest information density (0.49). This means you have to say more in Japanese to say the same thing in English, which has a very high information density. In fact, English's information density is nearly twice that of Japanese! Syllabic Rate: This refers to the number of syllables per second. Japanese is the highest here, just beating out the fast-talking Spanish. The hypothesis of the study is that languages with a lower information density (like Japanese) will make up for it by speaking faster. Looks like that's one of the things that Japanese does in fact do, though we'll see that it doesn't quite equal up to the rest. Information Rate: Now let's combine Information Density and Syllabic Rate to get the "Information Rate." Compared to all the other languages in this study, the Japanese language actually communicates information more slowly than everyone else. It is four standard deviations away from the norm which is quite a bit considering that the second slowest, German, is only 1.5 standard deviations out. So, basically we can see that even though the Japanese language is faster than everyone else, it still doesn't get as much information across in the same amount of time. So why is this? Is the study missing some information? Are there other reasons for the lack of information in Japanese speech? 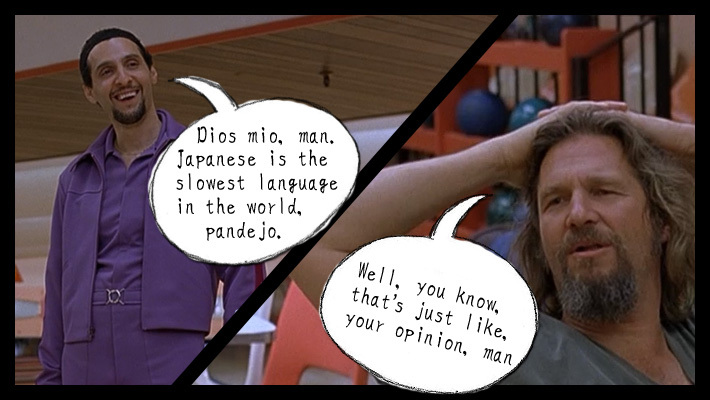 Is Japanese Really The Slowest Language? Let's start with possible reasons why the data could be inaccurate. 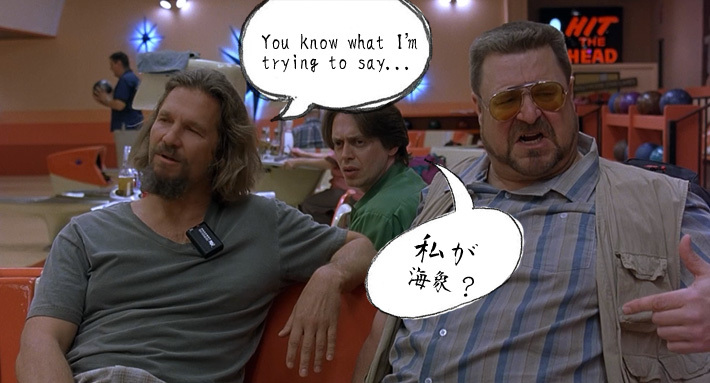 For starters, one could say that it doesn't go into the way spoken Japanese has a lot of omissions based on context. One example is the phrase watashi wa 私（ わたし ）は. A lot of beginners constantly use watashi wa わたしは（） because in English we usually do refer to ourselves when talking about ourselves. In Japanese, though, this can be omitted if it's already apparent. There's a lot of things like this in Japanese, and it's possible the study didn't take this into account. Even if the study did run thousands and thousands more sentences, I don't think it would make a huge difference. All languages have this sort of things, especially when you start talking about casual speech. Although running more sentences through would probably increase Japanese's Information Rate, I don't think it would make a huge difference. Whatever the case, it'd be hard to prove either way, especially considering how all languages lose syllables when becoming more casual. What's more interesting, I think, is looking at reasons why Japanese does have a low Information Rate. Possibly a slower one than the study itself presents. Here's some things I came up with, though I'm sure there are more reasons. At least in neutral and formal Japanese, every verb has a lot of syllables, and most sentences have verbs in them. At minimum, each verb has three syllables (demasu でます（）, mimasu みます（）), though often times it has more (asobimasu あそびます（）, watarakimasu はたらきます（）). In English, most verbs are two syllables, and that's including the "to" (to eat, to see, to work). That right there jacks up the syllable count quite a bit, especially over time. The Japanese language is very indirect. As you learn more Japanese, you'll start seeing that the less direct you are the more polite you're being. The less direct you are, the more words you have to use to get around the point (aka more syllables). The Japanese language also has fewer available syllables. In fact, on that list, it has by far the fewest with 416. The next lowest? That would be Mandarin, with 1,191 (nearly triple what's available in Japanese). Guess what English has? A whopping 7,931 available syllables. No wonder English is considered one of the most complicated languages in the world (seriously, Japanese is easy). Fewer syllables means you run out of words. This is probably why Japanese has so many homonyms, but it's also why Japanese words tend to be longer and have more syllables in them. When vocab words themselves have more syllables, no grammar in the world, no matter how casual, can increase your information rate enough to compete with other languages. Sorry Japan, you're slow. So, I for one think the findings of the study are probably correct. If anything, they're giving the Japanese language a little too much credit in terms of its Information Rate. 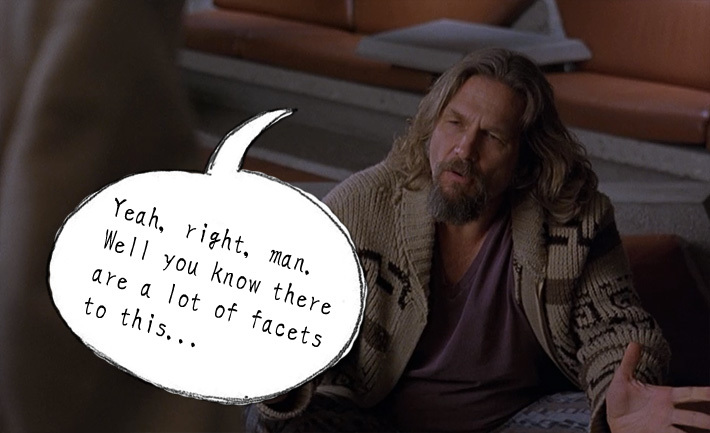 But overall I don't have any problems with the findings. Everything there makes a lot of sense when you think about it. Other than just being interesting information, I think it should also affect your studies as well. Although I suppose I've always noticed that Japanese tends to be faster than English, I never really thought much about it until reading this study. With this information in mind, it makes you realize that you should probably focus a little more on talking speed than you may have originally thought. You need to talk 21% faster than you talk in English if you want to sound fluent. When you're studying, spend a little extra time getting your speed up. If you're reading a sentence, don't stop when you're able to read it at an adequate rate. Stop when you can read it faster than you think it should be. If you learn to speak faster… well… you can always slow down. It's very hard to go from slow to fast, though. So, to sum things up, the Japanese language is fast. But, in terms of information conveyed, it's kinda slow. In those regards, Japanese is both easier and more difficult to learn than you probably thought before reading this article, which hopefully means it all evens out nicely (but you come away with some valuable information). 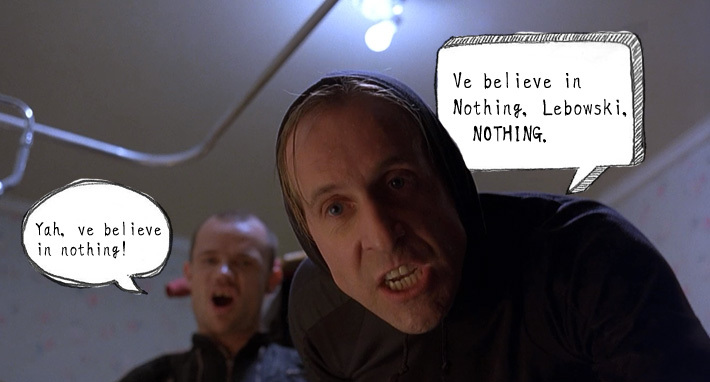 And don't worry, Walter is fighting for you.